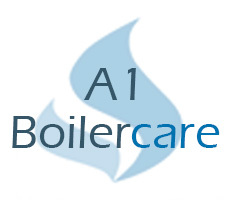 Welcome to A 1 Boilercare, a Gas Safe Registered heating company based in Mussleburgh and working throughout Edinburgh and the Lothians. Servicing your gas appliances to a high standard, to maximise their lifespan and ensure safe and effective use. With experience on all makes and models, when your boiler stops working pick up the phone anytime for a breakdown visit. When it’s time for a new combi boiler call us for a quote with competitive pricing and a free call out for the survey. Established in 2011 we are building a reputation for excellence in this field from electrical testing and servicing to breakdowns and installation. Have a look around our site and click on our link to Rated People to see our reviews from previous customers, all of which led to a 5 star rating for A 1 Boilercare. All comments are endorsed by this leading company who specialize in allowing the public to find reputable trades people.